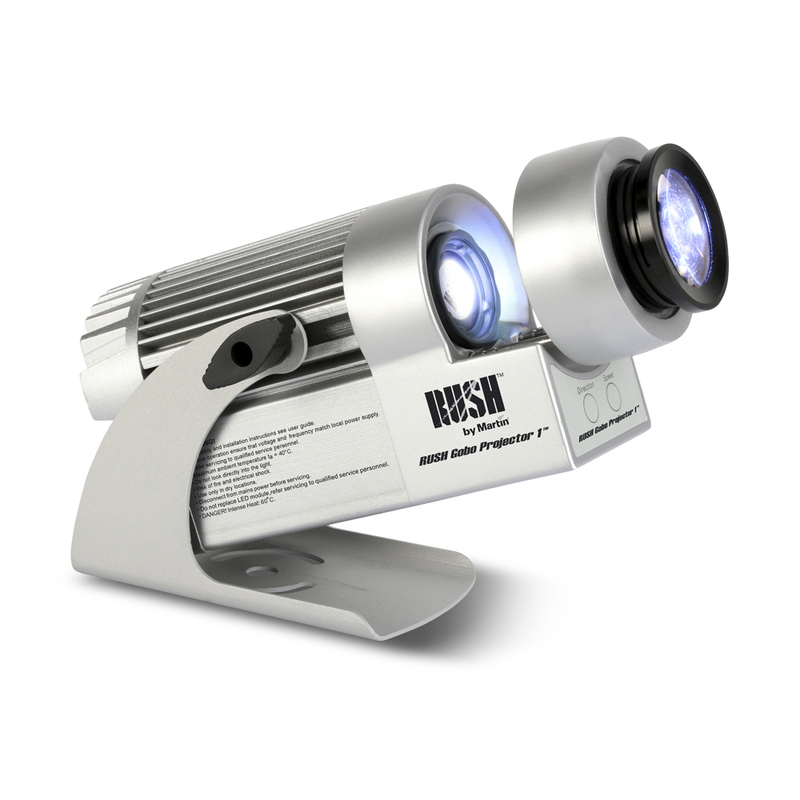 The RUSH Gobo Projector 1 is ideal for applications that require a compact fixture for easy LED gobo projection. Ideal for clubs, bars, restaurants and shopping malls, this silent gobo projector provides easy adjustment of focus. Speed and direction is controlled by easy-touch buttons, and the magnetic gobo holder makes it easy to change gobos in seconds. Total heat dissipation*: 70 BTU/hr.